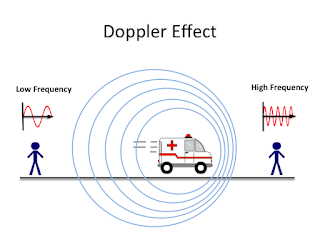 Doppler Effect states that there is a change in the frequency of sound because of the relative motion between the observer or the listener and the source of the object. 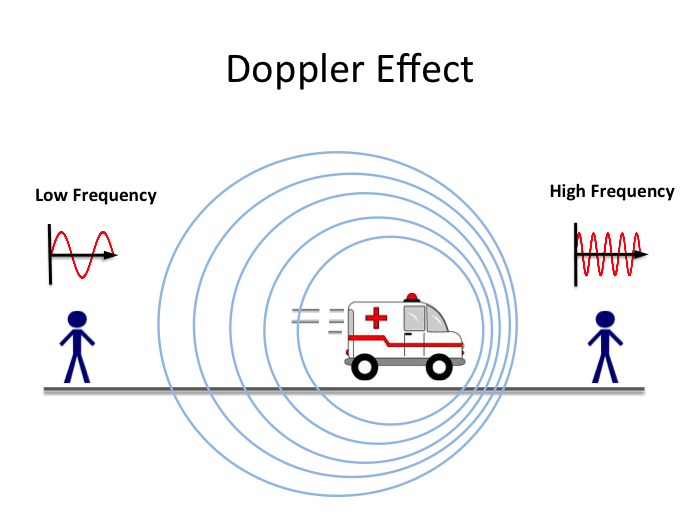 In simpler words when the source and the listener are in a relative motion there is a change in the frequency of sound and this effect of a change in frequency is known as the Doppler's Effect of sound. When the objects move apart the frequency decreases. When the objects move towards each other the frequency increases. a) If the source is moving away from the observer then Vs will be positive as n decreases with increase in Distance. b)If the source is coming towards the observer then Vs will be negative. a)If the observer is moving away from the source then Vo will be negative. b)If the source is coming towards the observer then Vo will be positive. a)If both are moving away then Vo will be negative and Vs will be positive. b)If both are moving closer then Vo will be positive and Vs will be negative.